Intercity Transit is a transit system covering urbanized portion of Thurston County, including the cities of Olympia, Tumwater, and Lacey. 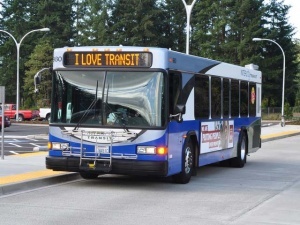 Intercity Transit connects with Mason Transit and Grays Harbor Transit in Olympia. Express bus service to Tacoma connects with Sounder commuter trains, Sound Transit, and Pierce Transit.